The author of The Imperfectionists and, now, The Rise & Fall of Great Powers on placelessness, the virtues of disappearing, and terrible ways to think about life. Tom Rachman knows how to write a story. A graduate of the Columbia Journalism School, he spent the early part of his career in newsrooms around the world, working as an editor for the International Herald Tribune in Paris and a foreign correspondent for the Associated Press in Rome. 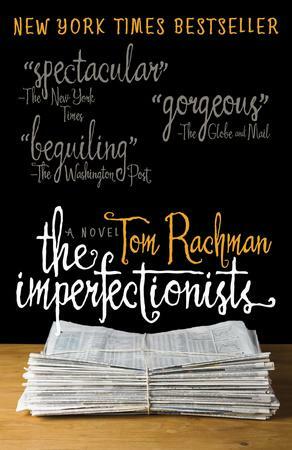 A fiction writer at heart, Rachman used these experiences as the basis for his first novel, The Imperfectionists, a book about an English-language newspaper based in Rome and the eccentric team that runs it. 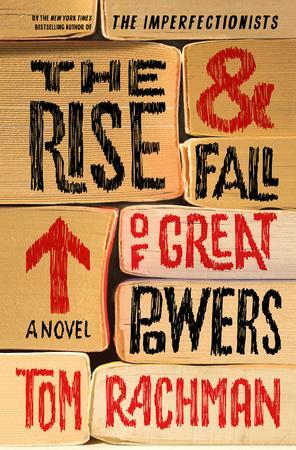 His latest novel, The Rise & Fall of Great Powers, is an ambitious work spanning three decades and as many continents. Tooly Zylberberg is a quiet 30-something who runs a small bookstore in Wales. When an ex-boyfriend contacts her out of the blue, Tooly sets out on a journey to make sense of her mysterious childhood, one that involved a carousel of con-artist caregivers and lacked a fixed address. Rachman braids together three story lines from different stages of Tooly’s life, with each chapter posing more questions than it answers. As with The Imperfectionists, Rise & Fall takes characters out of their homelands and thrusts them into new, fast-paced, global environments, shining a spotlight on the universality of certain experiences. The hustle of the Roman newsroom is here replaced with Brooklyn brownstones, Bangkok marketplaces, and the cobbled streets of Wales, with the one constant being the characters’ drive to find their place in the world. Rachman met me at Random House’s Toronto offices, joking that he gave other media outlets stupid answers to save me the good ones. I set up two recording devices, neurotically checking and re-checking that they were both working before we began—I had a digital recorder shut down on me during a recent interview, a fact that I only discovered after the fact. After I apologized for my excessiveness, then checked the recorders one last time, we were good to go. It’s been good. The book tour’s a tiring sort of phenomenon because you are accustomed to spending a lot of time on your own in a little study working away and typing, and suddenly you find yourself not just travelling around at a great pace but also having to stand before strangers and talk at length in a useful way about your own book. You’ve been carefully arranging all your words in private, and suddenly you have to find a public voice for yourself. Not so much. Sometimes—well, yesterday, two different people—I don’t know if you remember this but early on, right at the beginning [of Rise & Fall] there are these different subject sections in the bookstore that are quite unusual. “Artists who were cruel to their spouses.” And twice people asked me to just list them off. The Imperfectionists is based on the newsroom in Rome. Was there anything in your own life that inspired Rise & Fall? Well, it’s easy to assume, as many people have, that because I worked in journalism that that was ripped from reality, and the context and setting were certainly taken from my experience. But [The Imperfectionists] was not of a particular place. It wasn’t the International Herald Tribune or the Associated Press, the two places where I worked. The characters in them were not people that I knew, as the people I knew were relieved to find out. But I wanted to use that experience, to authentically describe a feature of the culture of international news or journalism in general, that I thought people might want to have a peek at, and that also had been going through dramatic changes. With the new book, I would say that there were elements of my own experiences, my own life, things that I’ve seen, that certainly seeped in. I don’t write about my own experiences. I write about maybe the things that I’ve seen in other people, the things that I see around, but I don’t like to take too directly from reality for a simple practical reason, which is that, when I’ve tried to do so in the past, I always found, paradoxically, that characters who were taken from real people never really came to life in the fiction. They sort of needed to be detached to gain their own spirit and life within the fictional setting, and be able to act there of their own will. So, the opposite of journalism. Exactly. I would say that a feature of my own experience that is in The Rise & Fall of Great Powers is that it does contain all sorts of characters who aren’t sure exactly where they fit in their own times, and where in the world they fit. When I first started, when I was finishing at U of T, and I was thinking of writing fiction, one of the small anxieties that I had [Anna checks her tape recorder to make sure it is still working]—an anxiety like yours about the tape recorder—was, if I look at great writers of the past, so many of them seem to have a real setting, a real fixed place for their fiction. It could be Joyce with Dublin, and Dickens with London, and Faulkner in the South. But I felt like I wasn’t really quite sure where I would set my stuff. So I ended up writing fiction that is slightly rootless, and I think that maybe that’s, in a way, suited to the time. People are quite far flung and have mixed up cultural identities now. You’ve been carefully arranging all your words in private, and suddenly you have to find a public voice for yourself. Which is your own experience, having lived all over the world. Of course, everyone I know in Canada makes a point to claim you as a Canadian author, as any time anyone who has lived in Canada does anything. But I am a Canadian author! I’m a Canadian citizen, and proudly so. Tooly’s an interesting protagonist because in all three of the intertwined narratives she’s not passive, but she’s a very receptive character. She goes with the flow a lot, which is a trait that first struck me with her reading habits. As a child, she just reads the books that Paul gives her, which are all novels. Then with Humphrey, her reading habits change entirely, because he rejects fiction in favour of philosophy and theory. As a result she’s got this kind of wide range of reading experience based on the people she’s with. I see Tooly as a character with a really strong force of personality, but she’s also a character in formation. The nature of the book is, as you’re reading it you’re kind of figuring out who she is, who all these people are, and it’s a process that she at various stages is going through herself: defining herself, and figuring out what kind of person she’s going to be. But I don’t think that that makes one passive, necessarily. That makes one open and curious, and I think that that’s the sort of person she is. I feel like she has a strong force of herself all the way through, even if she is gulping down these books at one stage that are different in another stage. But keep in mind that she is the one that is hungering for these books. That’s not true for every child. That’s the sort of palpable aspect that animates her and conditions, somewhat, what she expects from the larger world. Also, she’s got adventure in her. She’s got a curiosity for other things. She’s bold and brave in many ways and is attracted to people who are slightly outside the norm, people who will look at her across the room and wink. When the story begins, Tooly lives above a tiny little bookshop in Wales, disconnected from so much of the rest of the world. When she reconnects with her old boyfriend, she’s thrust into this world where she can’t make sense of all the smartphones and tablets, all the changes in technology. Could the early parts of her life have even been possible with today’s technology? No. I think it would be almost impossible for people to vanish, the way that characters in this book do. 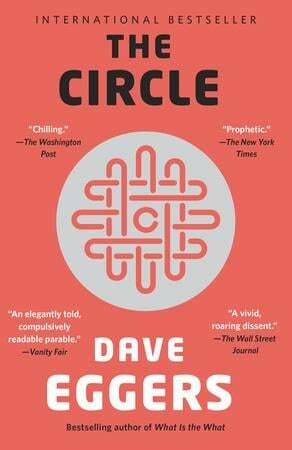 Everybody’s tracks are so deeply embedded in various digital systems that it would be inconceivable for people to do the sorts of things that are described in this novel now. Or very difficult, anyway. Is it possible for somebody to truly reinvent themselves, as Tooly tried to year to year? What does it even mean to reinvent oneself? I think to reinvent yourself means to live openly to life. There’s a sense that growing up is a process of figuring out who you are, and then once you figure it out, that’s the person you are and you stick with it, which I think is a terrible way to think about life. Among the people I greatly admire are, say, the 80-year-old woman who’s had two husbands and is now on her own and is taking a class in pottery or something. I like people who are still alive and still changing and developing and want to exercise all of the varied possibilities of life rather than picking a self and defending it forever, which I think is a great risk and [arises] out of issues of pride rather than reason. Because you’re not the same person that you were 15, 10, 50 years ago. To spend your life having to say, well, “I’m a huge fan of this sport but I hate these other things,” because that’s how you felt when you were 14, what a disaster. And things you wouldn’t even think he would hide, like [redacted]. I’ll edit that part out of the interview so it doesn’t spoil anything. Your book really plays with the idea that we take for granted the way people really are. There were characters that genuinely loved one another, but the book asks that question—even when somebody isn’t hiding a gigantic secret, can we ever really know them? I don’t think I set out to make some statement of, “You can never know people.” That might be a consequence of the structure. I suppose I wanted the effect of reading this book to be like looking at something up close, a picture up close, and you’re taking a step back with each chapter, and gradually the picture becomes clearer. Of course, the pleasure, one hopes, of reading it, is that you, bit by bit, come to see the composition as a whole picture, as it was laid out. Have you read Jennifer Egan’s book A Visit from the Goon Squad? Very loose parallels, particularly in the way that time is played with. There’s a scene with Tooly and her ex, Duncan, in which she’s asking about people she hasn’t spoken to in years, finding out that unlikely characters are now married with kids. Goon Squad was all about how bit players from certain timelines come back in big ways. It’s another consequence of being in the Facebook generation, nobody ever really disappears. To [tie this to] your last question, nowadays it’s really so much harder to escape your past or to redefine yourself. Everything is being laid down and recorded for future embarrassment. There are so many aspects of my, say, adolescence and late teens that I am delighted do not exist anywhere online. There’s a sense that growing up is a process of figuring out who you are, and then once you figure it out, that’s the person you are and you stick with it, which I think is a terrible way to think about life. I was going to ask you for examples, but then I would almost definitely put them online. Exactly. I do wonder in the future whether people will find it more difficult to redefine themselves. On the other hand, there are all sorts of other aspects of contemporary life that make it easier to redefine yourself. People are in general more accustomed to others doing that. You can change city, you can change partner, you can change the gender of your partner without people feeling like this is a shocking thing. So yes, the technology might embarrass us, but maybe the society liberates us to be a little more varied over the course of life than once we could have been. The part where the meteor hits and everyone dies [note: this does not happen]. [Laughs] Exactly. The funny thing about talking about this book is that it’s so intentionally laced with all these secrets and mysteries, that when I’ve done interviews I find myself desperately treading around the plot points, so it’s nice of you to edit that out. Like when we find out that—plot twist—she’s been her own twin all along. Did not see that coming. Would you define this book as a mystery? No, I wouldn’t. It does have mystery in it. But I think if you start talking about a mystery story or a mystery novel, people think of it in the genre sense. Probably 80 percent of literary fiction has mysteries in it. This one is set up so the mysteries are protracted, and they’re really about, “What is this novel that I’m reading?” One hopes the reader’s curiosity draws them along. We’re almost out of time, I think. I have to get out my last brilliant questions in the next two minutes. Now there’s pressure. What books are you reading right now? Right. I thought, “Can I struggle through six volumes?” But somebody here was praising it, so I think I should take a look. Back to your comment regarding Eggers’ book, about fiction that responds to current events, which Rise & Fall itself does very much: what do you think the role of fiction is in today’s world? I would be wary about prescribing a role for any creative work, because then it makes it seem like you have some sort of public duty. Whenever that happens, the work just deteriorates. It becomes more spinach than art form, you know? I would say storytelling is a fundamental part of the human experience, obviously, and we’ve always had various forms of it. Fiction is one that hasn’t been around for most of human history, but I think it’s one of the most sophisticated and rich forms. It’s actually pretty incredible, when you think about a person labouring over one story for year, and then people all around the world potentially being affected by it, experiencing that tale again over time. It’s an extraordinarily deep and complex form of this fundamental feature of human beings. Certainly, with all of the competing entertainments available now, one wonders about the future of fiction, what space there’ll be left for it, not just in the culture but also in people’s heads. Fiction requires a degree of involvement from the reader. You don’t just sit back and passively lie there as the pages turn in front of you. And I think that’s precisely why it’s such a deeply gratifying experience when you and the book really click. How Can I Get My Girlfriend Off Her Phone Without Smashing It?